Manchester United are flying high at the moment as they beat Fulham 3-0 to take the unbeaten tally of games under Ole Gunnar Solskjaer to 11 games. The PSG tie that will feature in the Champions League in the mid-week will certainly be more fodder for entertainment now. The scoreline featured a brace from Paul Pogba, one of which was a penalty and the winner and the first was a tight goal to open the scoring. However, the goal of the game came from another Frenchman, Anthony Martial. The former Monaco man, who has just recently signed a five-year extension to his stay at Old Trafford, amazed significantly with his solo-goal. Sure enough, fans from across the globe cheered the Frenchman for his heroics, but one man may have had the best reaction yet. 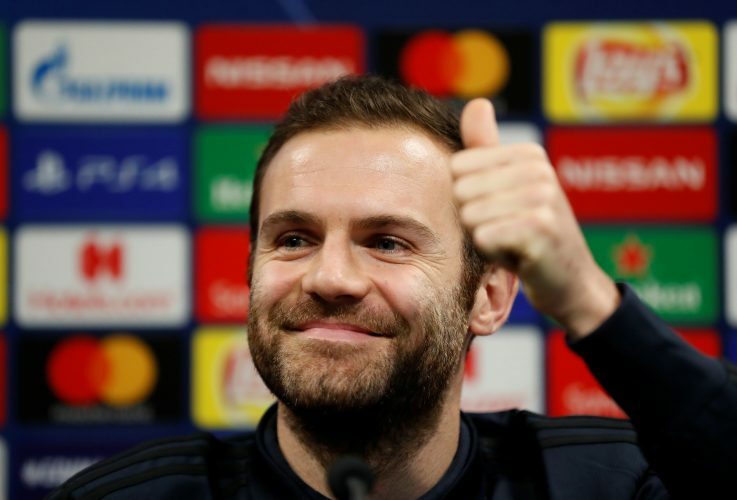 Juan Mata has become somewhat of a prolific reactor. He gained this reputation after a clip of him expressing disbelief at David De Gea’s brilliance went viral. Since then, celebrations of the Red Devils have always been swept with a closer eye to see if another golden expression from the Spaniard may have been in sight. Mata clearly has caught wind of this, as evident in its latest tweet with a picture of him celebrating Martial’s goal. The tweet pretty much captured what most United fans would have been feeling about Martial’s goal. The Ronaldo tag is in reference to the fact that Martial’s goal on the night was exceptionally similar to Ronaldo’s memorable goal against Fulham 12 years ago. All in all, Martial is a player that Old Trafford has always loved and antics like these are a positive sign as to what he’ll be able to achieve in the period of time that he has freshly extended.